All site content is kept in the recycle bin for 30 Days before being purged completely. Standard users will be able to find the Recycle Bin on the left hand side towards the bottom of the home page as per the screen shot below. 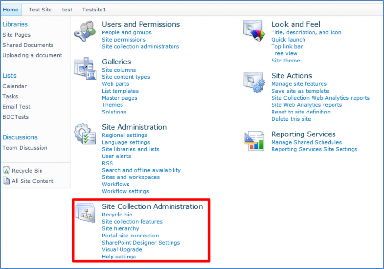 Site Collection Administrators have an overview of every item which is deleted on the WSS site, to view this go to Site Actions > Site Settings > Recycle Bin. Note: Items that are deleted on the WSS 2010 site are stored in the Recycle Bin for a maximum of 30 days after then a custom recovery will need to be performed to restore the data. Please contact the Technical Support on 0345 223 9000 or support@cobweb.com so that a quote for a restore can be provided.